Why not make the most out of your Isle of Man visit. Book the perfect tour and the perfect accommodation with Albany Tour Isle of Man. We’ll even help you book your travel to the island if required at an additional cost.  admission to Manx National Heritage sites. This leaves you free to go roam the island at your own pace. We’ll assist in daily planning of your itinerary and help with bus and rail times. The island is very easy to explore on our Victorian & modern transport. We’ll organise to collect you from the ferry or airport to Albany House B&B in Peel. Rooms will be made available by 1pm on arrival date. On departure we’ll transfer you back to the ferry, airport or another location on the Island. Prices is from £105 per person per night based on two people sharing. Single Traveller rate available on request. Return transfers from ferry or airport. Go Explorer Heritage 5 day travel card. Travel to the Island by ferry or air. This can be arranged at an additional cost. Any additional third party tours or activities we arrange on your behalf. Your stay will be at Albany House Bed and Breakfast, choice of 3 rooms all ensuite (subject to availability), enjoy either 2 half day tours or 1 full day tour, where possible we will give you a choice of tours. The Fraser is delightfully sunny accommodation with large bay window at the front of the house enjoying views to the castle and the sea. Guests can enjoy this charming room as either twin or double, an additional bed can accommodate a third adult or child, either as all singles or as single and double. Designed for guests on a short stopover, this room is ideal for ramblers wanting, say, just a few nights stay. Not that staying for week’s not a wonderful thing, either, but we’d recommend our other larger rooms for lingering longer. Room options: Double in a kingsize bed. The large six-foot zip and link bed is extremely comfortable. The dressing table is spacious for those wishing to work with a laptop. The ensuite bathroom, has toilet, sink, P-shaped bath with an overhead shower. Plenty of bubble bath to soak the care of the day away. Your tour and accommodation bookings are on a request only basis and are not confirmed until full payment has been processed and you receive your booking confirmation via email. Why not take at look a our interactive map to find out a bit more about some of the locations we may visit. Nigel will be waiting for you and your party in his full set of tails to take you on a nostalgic trip of Manxland. Enjoy ethereal panoramic landscapes and breathe in the pure mountain air of this unspoiled land. Whether it’s cool and creative culture, or mesmerizing vistas and adventure you seek, the Isle of Man is where you will find it. Take the stress out of planning a holiday with one of these best-selling packages.